Gunter Seeger NY is a fine dining restaurant located in at the intersection of two of New York City’s most vibrant neighborhoods: the West Village and the Meatpacking District. Situated two blocks from The Whitney Museum and the Highline, and just south of Hudson Yards, the restaurant resides on Hudson Street in a historic townhouse designed as a discreet private home. Helmed by its namesake Gunter Seeger, the restaurant opened to critical acclaim in 2016. The cuisine is focused on simplicity and sustainability of product. A four course or eight course menu is offered in the main dining room, while a ten to twelve course menu is offered on the Chef’s Table. Chef Günter Seeger was born and raised in the Black Forest of Germany, where his family owned a produce brokerage business for generations. He grew up in the business, visiting local farms and markets with his father as a child, where he was exposed to the feel, form, and taste of produce. While learning of food at an young age, he developed a deep respect for the land, its products, and its people and traditions. After finishing his apprenticeship as a chef in a nearby village, Seeger went to Switzerland, where for ten years he gained experience in some of the country’s finest hotels and fine dining restaurants. While there, he completed his degree in restaurant and hotel management at a Lucerne academy. His career has covered two continents, and his achievements have garnered outstanding praise throughout Europe and the United States, as testified by the series of prestigious awards and distinctions he acquired along the way, from the Michelin Star, Mobil Forbes Five Stars, AAA 5 Diamonds, Relais & Châteaux, Tradition et Qualité, James Beard Award, to Esquire magazine’s title Best New Restaurant. Günter Seeger was cited among the fifty most important people of the last fifty years in Atlanta’s history due to his decades-long contributions to the food culture of the city. He was one of the driving forces behind the founding of the Georgia Organic Farmers in the early 1990’s. He is known among peers as an early pioneer and major contributor to contemporary American food culture, and has always placed growers, producers, farmers and the culture of sustainability at the center and star of his cuisine. He has lived in New York City for the past ten years with his wife Leslie and their two young daughters. Günter Seeger New York opened to critical acclaim in May 2016. 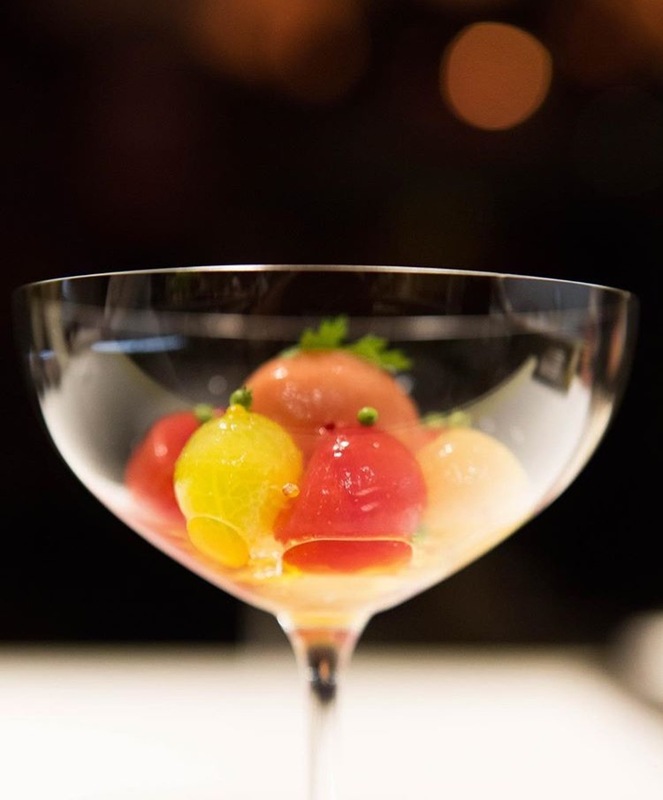 Located in NYC's vibrant Meatpacking District (and two blocks from the Highline and Whitney Museum), the restaurant serves cuisine vibrantly in touch with the seasons. Seating is offered in the dining room or at the Chef's Table. There are two menu options available in the Dining Room: a Four Course (available Monday- Thursday) or a Ten Course (available Monday- Saturday). At the Chef’s Table a Ten - Twelve Course menu if offered. The Restaurant is open Monday - Thursday from 6:00 - 9:00 and on Friday and Saturday from 5:30 - 9:30, closed on Sundays. 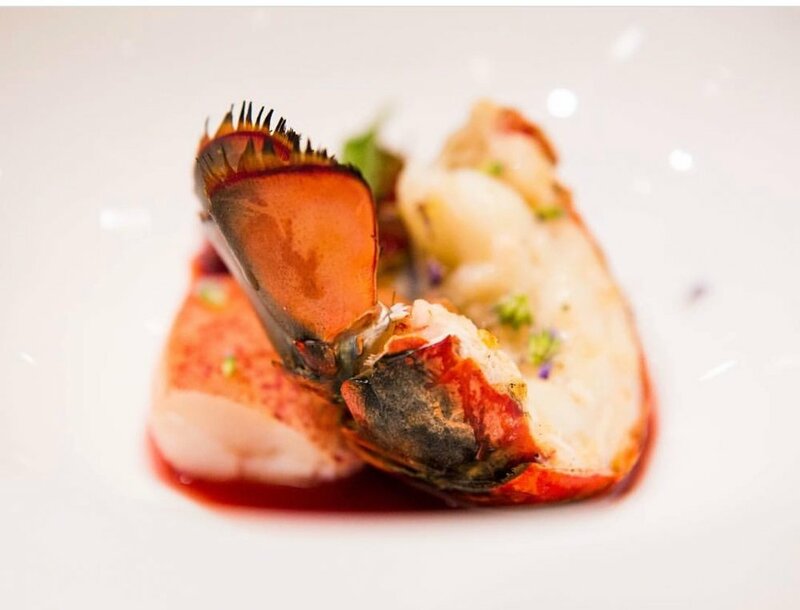 Gunter Seeger NY has been the honored by the Michelin Guide, Forbes Travel Award, the White Guide and is regularly an OpenTable Diner’s Choice Winner. The Chef's Table seats parties of 2 - 10 guests, seated communally each night at 7pm. The team of chefs prepare a special Ten - Twelve course tasting menu designed exclusively for the table at $198 per person. Located just outside of our open kitchen, the table's simplistic style of rustic solid ash wood is accompanied by classic Dolomite wooden benches and chairs. Guests are seated below Chef Seeger's grandfather's hand-hammered chandelier and have an unobstructed view into the kitchen. To make a reservation at the Chef's Table, please reserve below or call 646-657-0045. The Dining Room seats parties of up to five guests among eleven tables, and offers two menu options during the weekdays: a Four Course Menu ($115) or an Eight Course Tasting Menu ($168). On Friday and Saturday night the Eight Course Tasting Menu is offered. To make a reservation in the dining room, please click below or call 646-657-0045. Kindly give the restaurant 72 hours notice to cancel your booking to avoid the charge of $125 per person in the Dining Room and $198 per person at the Chef's Table. Reservations are taken 30 days in advance online, 60 days in advance by phone. The Reservation phone line is open Monday - Saturday from 12:00pm to 5:00pm at 646-657-0045. Menu price is $115 and served by the table only - the above is a sample menu, dishes change daily. Please call the restaurant with any allergies or dietary restrictions when making reservations. Wine pairings are available at $85 per person. Menu price is $168 and served by the Table. The above is a sample menu, dishes change daily. Please call the restaurant with any allergies or dietary restrictions when making reservations. Wine pairings are available at $125 per person. 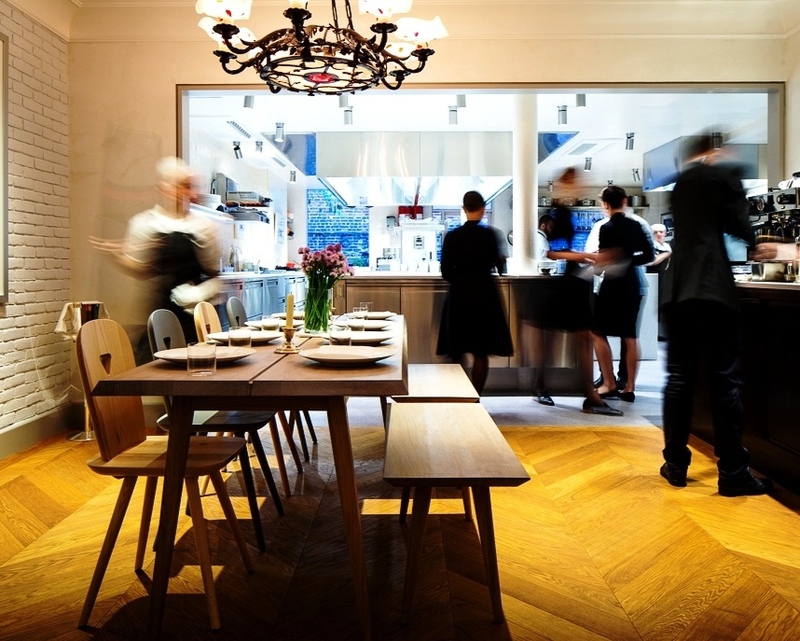 There are two ways to celebrate a memorable event at Gunter Seeger NY - the 10 seat Chef's Table or in the Dining Room, which seats up to 50 guests. Menus are customized and carefully crafted by Chef Seeger and his team along with with wine selections made by our Sommelier. The Chef's Table is the perfect place for your small party to gather. Located adjacent to the kitchen, it offers a birds eye view of the brigade of chefs as they prepare your meal. Please call the restaurant at 646-657-0045 or use the form below to inquire. The Dining Room is available for a variety of events, including cocktails parties as well as seated lunch and dinner functions. The dining room seats up to 50 guests, and cocktail functions hold up to 60. Please call the restaurant at 646-657-0045 or use the form below to inquire. Thank you for submitting your inquiry about a private function at Gunter Seeger NY. Someone will be in contact shortly. If you would like immediate assistance, please call us at 646-657-0045. When I last wrote about Günter Seeger’s namesake restaurant, he had recently garnered his first Michelin star, which only caused him to tell me, “Now we want to get better and better and better.” On the basis of a recent meal at his beautiful dining room in the Meatpacking District in Lower Manhattan, he has clearly kept his promise. How should a fancy restaurant be? Should it be radical, like Momofuku Ko; grand, like Eleven Madison Park; wacky, like Gabriel Kreuther; haughty, like Jean-Georges? Günter Seeger, a new European-accented place in the West Village, suggests something different: a fancy restaurant should be discreet. If you'd like to be kept up to date with our latest happenings, including special dinners and events, and inclusion in our monthly mailing, please fill out the form below. Thank you! We look forward to sharing with you what's happening at Günter Seeger NY!